Many consider hair as the most prominent feature. It’s no wonder why people, especially women, constantly experiment with their hair in order to look better and more attractive. But not everyone is blessed with voluminous, shiny and healthy hair. In fact, according to some reports, it is estimated that about 25% of all women in Australia suffer thinning hair and hair loss. For this reason, the demand for hair pieces, specifically wigs, has significantly increased in the last few years. Wigs are being more and more used by who not only have thin, brittle or fragile hair, or bald patches, but also by women who have broad face or simply want to change their hairstyle. Regardless of the reason, choosing the wig that will compliment your facial features and highlight your natural beauty is super important. If you plan to buy your wigs online, here are few helpful tips to consider. Comfort And Considerations – Comfort is very important. If the wig fits impeccably, it will be secured and look more natural. However, wearing a wig can be uncomfortable, especially in summer. Therefore, when buying wigs online, make sure you get a cushion band for keeping the head cool during hot summer days. Type Of Wig – There are two options: human and synthetic wigs. Each type has own disadvantages and advantages. 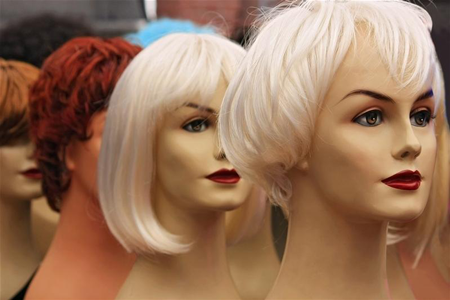 Synthetic wigs – These wigs come pre-styled, and in different colours. They are easy to care for and if properly washed and styled, they can last long. Avoid flat and curling irons as synthetic fibers cannot withstand heat and can melt. Also, synthetic wigs are less prone to colour fade when compared with human hair wigs and usually last from nine to twelve months, depending on usage. Human hair wigs – This type of wig can withstand heat, thus can be styled and treated like natural hair. But unlike the synthetic wigs, the human wigs require regular care and are more prone to colour fade. Using the best styling and hair maintaining products can help you prolong the life of your human hair wig. Although more expensive than synthetic ones, they offer higher return on investment. Thus, when buying wigs online, if your budget allows it, opt for human hair ones. Choose a wig style not much different from your natural hair. Ask a friend for the second opinion and support when selecting a wig. When buying wigs online, always buy from a reputable and trustworthy source.